Some random thoughts from Tim Dyson, the CEO of Next Fifteen. Next Fifteen is the parent company of Silicon Valley's most powerful technology PR firms: Bite Communications, OutCast Communications and Text 100. They're also parent to some of Europe's hot consumer PR and Research agencies such as Lexis and RedShift. Enfatico is Italian for emphatic or pompous. 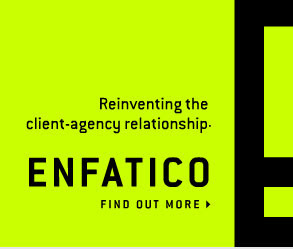 Just over 18 months ago WPP won the contract to build a global marketing agency from scratch to service Dell and named it Enfatico. The firm was meant to bring all of Dell's marketing, advertising and PR under one roof, cutting costs and eliminating the problems others have had when trying to offer an integrated service. It was a bold, ambitious plan. At the time WPP said Enfatico would use the model to win other clients in time. Well, at this stage Dell is the only major client Enfatico ever had (they did have one other client: Progress Software) and Enfatico itself has been rolled into Y&R. So does that mean the experiment failed? Officially Dell will deny any failure but it clearly hasn't been a roaring success. If it had, then Dell would be one of many clients for the agency and Enfatico would be growing like a weed. So why has Enfatico not been an emphatic success and instead been something of a pompous failure? From the start the agency had a significant problem that was meant to be its main asset - namely that it had only one client. Hiring top talent to work on just one account was always gong to be a challenge. It's also not a great business model. After all, does a client truly want to buy 100% of the time of all the people in the firm? The other great problem for Enfatico is that it didn't appear to have total buy in from the client side. Rumors constantly circulated that different departments liked their old agency partners and wanted to go back to the way things were before. This makes it really tough to keep a client. Agencies and clients have to be a team, this is especially true with larger clients where there are so many moving parts. Does all this mean the days of a single global agency are over? I very much doubt it. I think it simply means the Enfatico model didn't work. That said, I'm sure WPP will try the model again. According to today's New York Times Twitter's success isn't being driven by teenagers. In fact it's being driven by almost every other demographic. This seems surprising at one level but not at others. Teens spend more time text messaging than on sites like Twitter. Indeed teens account for only 9% of Facebook's users according to today's article. This shows that Twitter and Facebook are being driven by people with an income, rather than people who have an allowance. Which in turn suggests that the value of these social media properties that has been so wildly elevated, is probably justified. The rampant success of sites like Facebook and Twitter makes me believe there may be another generation of social media sites about to truly explode. Twitter appears to be doing well in part because it enables communities to form around a person's comments even though many of those people involved don't know each other. Facebook is quite the reverse, deliberately so. I therefor love that places like Ning and Grouply are tapping into the intersection of these sites. Grouply, for example turns old style Yahoo! or Google Groups into vertical social networks. In other words they allow you to build a version of Facebook just for the 2000 people who love a certain obscure hobby. The cool thing is that unlike Facebook, you don't have to know these people to join the group. In that way they are bit like Twitter where you can follow a stranger's Tweets. I'm sure that at some point a site like Grouply will get bought by someone like Facebook or Twitter so they can open up this market to their millions of users and in the process offer advertisers another way to reach an interest group. From a PR perspective, a place like Grouply is fascinating as it also gives you a way to find some very influential communities AND to learn what their conversations are. The end is nigh... so what s next? 1. Businesses have all learned how to cut costs. Some of have done so intelligently, others... not so much. I believe there will be a generation of businesses, post recession that struggle because they made the wrong cuts. There will be others that now realize they were wasting a fortune before the recession and will forever be leaner businesses. 2. 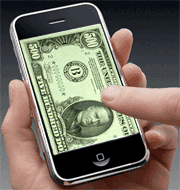 Businesses have learned new ways of generating income. While my study is hardly scientific I believe hotels, like airlines, have started charging for more and more things AND they have raised the prices on things that were already extras. I just stayed at a hotel that wanted to charge $5 for the Snickers bar in the minibar. I suspect that price will remain long after the recession has ended. 3. Businesses have learned about the power of customer service. Actually I should say SOME businesses have leaned about the power of customer service. The ones that have will at worst survive this recession and the ones that haven't are dying right now. Customer service is better than any new product or service. It is loyalty, feedback and free marketing. Why some businesses fear it is a mystery to me. 4. Businesses have learned who their best people are. Hiring people is relatively easy compared to letting people go. Letting good people go is especially hard. Strangely though, I've heard so many business leaders talk about how their business is better now that they are smaller. Hopefully, what we all learn from this is that at the heart of our businesses are some great people whose views, opinions and ambitions we need to listen to. But we mustn't stop doing that when the recession ends. These four lessons are the ones I've taken away from this recession. I'm sure other businesses will learn different ones. I'm also sure there were several lessons I missed. If you think I did miss one, please let me know. 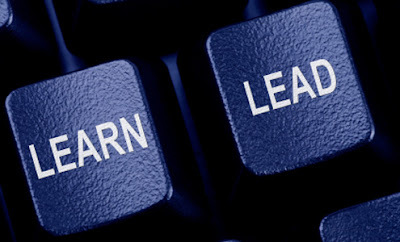 Right now is the best time to learn! I grew up in England with people that rarely told you much about themselves. It simply wasn't done. Some of those same people are now friends on Facebook and are people I follow on Twitter. I'm finding that I know more about them now than I did when we lived in the same city. Are Facebook and Twitter therefore becoming a measure of the degree to which you know someone? Should you rank your personal network based on those that you interact with via these social networks more highly than those you simply meet from time to time? Of course some people use Facebook and Twitter more than others, just as some people blog more frequently than others (yes I know what you're thinking). The active participants are of course the ones you will know most about, which leads me to my next thought: I can see someone like Malcolm Gladwell doing a book on social exposure, the degree to which we expose our personality and thoughts online and how that defines us. 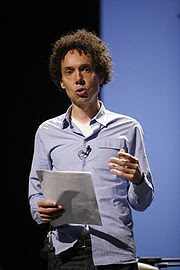 Are 'mavens' in Gladwell's Tipping Point, likely to have large social networks and to divulge large amounts about their likes and dislikes on Twitter and Facebook? Are his 'connectors' the ones that simply drive the creation of social networks? I can see technology that analyzes people's Facebook pages and then slots them in to Galdwell's character types. Would that be useful for PR people? Maybe. A friend is leaving for France next week with his family. They are doing the usual mix of Paris and Provence. He's a fan of the Rick Steves' travel guides and TV series and has used his advice for many parts of the trip. One thing they are taking advantage of is a series of guides to places like the Louvre and Versailles that are available as a free download on the Rick Steves site. In other words you can download a podcast on to your iPod on all the places you think you may visit on your vacation and then simply call them up while you walk around the museum, castle or whatever it is you're interested in. This saves potential expense, standing in line and you ending up with a handset trying to guide you in the wrong language (that happened to me when I was last in France - I got a guided tour of some Roman ruins in German. My German is non-exsitant). Now of course it makes sense for a site like Rick Steves' to offer these podcasts but I also wonder if it may also be worth Google and Microsoft adding these podcasts to their maps. So if you drill down on a map and see a museum, you could download the audio tour and perhaps even a video tour. Another idea would be for these museums or places of interest to offer a 'pre tour' introduction, giving you an idea of how long the tour will take, what you can expect to see, learn etc. It may include the items that would be of interest to young children or for that matter that would bore them. In other words it could guide you on how to get the most out of the... guide. You may think this an obscure market and an obscure idea but given the popularity of the iPod and iPhone, I can see this changing the way we all enjoy and learn about our history. Imagine walking up to a Rodin sculpture at the Cantor Art Museum and being able to play a short video on your iPhone that shows you details you may have missed, gives you an insight into other pieces he created, or he may have taken from other artists etc. In short it gives us all the chance to learn and be entertained in a completely new way. 1. Confidence in advertising is at an all time low. If people believed in advertising then even in these relatively depressed times, ad sales at the NYT should hold up relatively well. They haven't, so they mustn't. 2. People are turning to other platforms for advertising and to other forms of marketing. From what I've seen, few marketing budgets are being cut by over 30%. Indeed a 10% cut seems about normal year on year. So where are the dollars going? Given the NYT results are meant to include their web properties, it would suggest that the dollars must be going to other properties and other forms of marketing. Last week I also noted a study that said only 3.5% of major news stories started life in the blogosphere. Indeed the coverage of the story (in the NYT) suggested that the blogosphere had been over hyped. My read was that I was actually impressed that from a standing start blogs had made this much impact on news. It suggested to me that within five years, we could easily see that metric rise to 10% and from there to a sizable minority. Connecting these two news items may not be obvious but to me it demonstrates the pace of change in the media industry away from traditional news outlets. This endorses the view of many of us in PR that we must a) be investing in digital communications and b) we should be helping our clients understand the shift that is taking place. I've been giving some thought recently as to why companies have to try to look their best. For some time I'd believed that looking your best was simply a matter of the right training and discipline and then eventually it would simply become second nature. When taking a photo of my eldest daughter I had a revelation. I asked her to smile. She duly obliged and I got my photo. She then went back to her more normal expression. In short she looked great for a few seconds. Of course like most people she wants to look her best most of the time. When I asked her why she didn't smile like she did for the camera more often, she said "it's too much like hard work." Of course few, if any, people look their best all the time (I look awful most of the day and especially so in the mornings). So why do we expect companies to be any different? It's also no wonder that like many of us who struggle to smile nicely for the camera, some companes that are trying to look their best, look like they are putting on a false face. I guess the real answer to all this is not to train companies to put on their 'camera' face but instead, teach them to exhibit their real qualities - and of course encourage the people observing them to use the right lense. Now say 'cheese'. The rumors and stories surrounding the health of Apple's CEO are rife. Has he had a liver transplant? Has he already returned to work? All this shows how entwined he is with the success of the brand. The success of brands is often associated with an iconic leader. For years Bill Gates was Microsoft. Virgin is Richard Branson. And of course Ford was, well Ford. Of course companies are way bigger than one person and their success doesn't rely on these iconic leaders, at least not on a day to day basis. These leaders are the people that do, however, set the vision, the tone and the values of the company. Jobs has set a culture of perfection. He has set out a product strategy and he has set out a vision. All of these will enable the business to be a success... for a while. 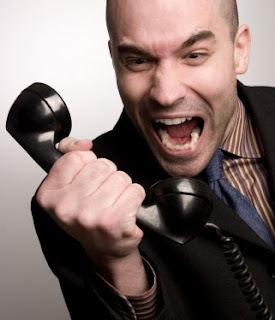 If he does dial back, or even leave, it will affect the company. How quickly and to what extent remains to be seen. My guess is that Apple will do fine for a year or two without him at the helm but if his replacement cannot install his or her own brand of magic, Apple could well turn into just another consumer electronics company. That would be a sad day. All of this uncertainty around Jobs' health does create an opening for his rivals. Rivals could of course praise Steve and make it clear how great a job he has done at Apple and how amazing his vision is etc. They would do this to make people connect him even more with the brand, so that if he does have to step down, the loss would be seen as all the greater. I'm sure they wouldn't do that kind of thing though. Would they? People like to read reviews of products in magazines they trust. They are helpful when they are making even a small purchase. For many though, the ratings of other buyers on sites such as Amazon.com or Bestbuy.com are fast becoming a ‘good enough’ barometer of the quality and value of a product. Indeed an entire industry has emerged to harness the power of user generated product or service feedback – tripadvisor.com being one of the notable success stories. But the generation of these user reviews does of course rely on some people having bought the service or product. After all, if there no users, there will be no user reviews. This is where the media and now certain blogs, have an advantage. They guide the early adopters of products. A good recent example of this is the Palm Pre. Google or Bing reviews of this product and you’ll see that at this stage there are plenty of product reviews at places like C|Net or Gizmodo but you won’t (or at least I couldn’t) find any customer generated reviews on major sites. Of course that will change in time but it’s clear that only those buying the phone early in its life will just have these more traditional product reviews. Which brings me to my point – product reviews are not for the masses, they are for the early adopters. Does this change the way PR people tackle product reviews? I suspect it should. Early adopters are by definition different. They have slightly different demands to the normal users. It would be useful for communications staff to profile early adopters and look at what characteristics they have and how the product being promoted appeals (or doesn’t appeal) to those characteristics. 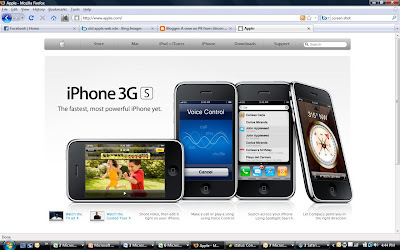 Apple launched its much anticipated update to iPhone today, called the 3GS. It has some good new features, such as a camera that actually takes decent pictures, video and sound activation. Price? $199 plus a two year contract with AT&T. That's the good news. The bad news is if you're an existing iPhone user and want to upgrade the price is... (wait for it) $599. In other words if you have been a good Apple/AT&T customer and want to buy the latest product you pay $400 more than someone who has waited until now. This seems crazy to me. They can clearly afford to sell the product at one price, so why charge existing users so much more? The argument is that if you haven't yet run down your old contract then you haven't yet given them the chance to recoup the discount they gave you on the phone you bought. But they ignored that fact when they launched the 3G. Therefore I can only assume that they don't really want existing users to switch. This also means that the iPhone's actually should retail at these crazy prices and the contracts are what bring the prices down. Even with this, surely an upgrade at some lower price could be justified by someone extending their existing AT&T contract by two years. My headline says Apple must not want the business. This is probably unfair. In truth it is AT&T that control this part of the pricing. I really hope some common sense prevails though and that Apple and AT&T get together and change this policy. Bing, the new Microsoft search engine has gone live. I have to confess I'm impressed with the way it works. It looks a lot different to Google, having the various reasons for searching shown on the left of the page. I used its travel functionality today to help out a family friend and it worked very well and certainly saved a lot of time compared to using several travel sites to book a flight. Interestingly I came across Bing because I tried to access Farecast.com and it took me in to Bing. This in itself is a clever move by Microsoft, given I searched on Farecast through Google as I wasn't quite sure of Farecast was the right name. I'll confess I'm now tempted to use Bing as my search engine. Being someone who has Google as a part of my toolbar will of course make that a bit harder in the short term. Of course I'll also be stuck with Google on my iPhone until Bing is offered there. So I'm a convert... sort of. Most US businesses wrote off the first quarter of '09. For some it was weak, for others it was horrible. By comparison Q2 for many was better. Not much better but better nevertheless. The real test will come in Q3. By Q3 they will have sold all the discounted inventory and will be trying to sell full priced products. For this to succeed we are going to have to see a shift in buyer behavior. Right now buyers have got used to discounts both at the consumer and B2B level, to the point where they struggle to make purchases of products they actually need unless there is some steep discount applied. This won't be helped by the fact that there will still be businesses in Q3 who are making sales just to keep themselves alive and not necessarily to make a profit. These businesses will continue to offer discounts even though it is only a matter of time before they go bankrupt. In the process they will create the impression that prices remain low. It is only once buyers start looking beyond price that things will really change. Price is after all a horrible metric for a product or service. We all know there is an implied link between price and quality. If high quality products continue to be sold at low prices it does lasting damage to markets. I read earlier in the week how high price hotel operators such as Four Seasons are keeping prices high so they don't do lasting damage to their brand, even though bookings are way down. This requires a great deal of nerve. They are also hoping that people don't try another chain that is offering discounts and end up staying with them. If high price products are heavily discounted it is hard to get people to pay a full price again. This is one reason the likes of Tiffanys don't want to see their products on places like eBay even in the good times. Right now consumers and business decision makers are being surrounded by price driven messaging rather than value driven messaging. Of course most companies don't want to play on price but once one significant player does, they all have to and then it's a fight to the bottom. This is where PR can play a big role in helping the economy. Getting buyers to appreciate the full value of a product or service and its brand are central to any turnaround. I know some will argue that there are other major factors such as consumer confidence. They'd be right but I'd argue that consumer confidence isn't something that even large companies can do a great deal to affect. The government has a huge role to play here and is why Obama has made such a big bet with his stimulus package. So when you are advising clients, do remember that campaigns that address the entire value proposition of a product, or service, is what this economy needs. That's true whether you are trying to help a client sell a system that costs millions, or a $500 net book. Where did all the homeless people go? I was in New York last week for a series of meetings. On the Monday night I was walking back to my hotel after dinner and found a dollar bill on the sidewalk. There was no sign of anyone who may have lost the bill so I picked it up and vowed to give it to the next homeless person I saw. I was in New York for two more days. I figured that would give me plenty of time to part with my find. I was wrong. The dollar bill traveled back to California with me before finally being handed over to a guy in a wheel chair outside the Palo Alto Starbucks. Now I'm pretty sure that the person who lost that dollar never would have thought it would travel 3000 miles so quickly. Can a scandal save a newspaper? The MP expense scandal in the UK has given the normally stodgy Telegraph a new lease of life at a time when print media of almost every kind is suffering badly. I wonder whether the scandal will have any lasting impact, or if in six months when the scandal has blown over, the paper will again see its readership dwindle. The scandal is huge and it's unlikely the paper, or any other for that matter, can match it any time soon. Plus the story doesn't show that newspapers are better than any other form of media. It is simply that they got the story. If the BBC had got the scoop it wouldn't have attracted any less interest. Indeed it may have had more. It could equally have been the story that could have made a blog a household name (if a blogger had been the person to expose the scandal). Sadly I can only come to one conclusion. This was a great piece of journalism but not one that will change the course of publishing history. The media in the UK has been full of stories about how British members of parliament have been making highly dubious expense claims. In response the leaders of the various parties have tried their best to seize the moral initiative and show a) how sorry they are and b) that they have a solution. What I find amusing about the solutions are that they all appear to end up costing the tax payer even more money (new committees providing oversight etc). I am puzzled that the media hasn't pointed this out. Indeed a smart party leader may suggest that the solution is instead funded by the MPs that abused the system. When ordinary people underpay their taxes they have to pay a penalty. So far the MPs don't appear to have offered a penny more than they took from the tax payers. Odd eh? On his quarterly call with analysts, News Corp chairman Rupert Murdoch said he intends to start charging people for access to their online content. He said the Wall Street Journal has proved it can be done. I wonder if he's right. Right now you can access most of the WSJ for free. As an iPhone user I can access a good deal of WSJ content using the WSJ app on the iPhone. Also if you Google any WSJ news headline on your PC you can often see the entire article without a subscription. Aside from the fact that the WSJ is free to many people, I also wonder what happens when he tries to take his publications behind a subscription wall. I suspect many of his readers will opt for a rival publication that doesn't charge or for well written blogs. I also struggle to see the typical Sun reader paying a subscription. I know the news media business is struggling to find a profitable business model right now and that the subscrioptn model is an obvious place to look. I just don't see it working for mainstream consumer publications. I can see people paying a blanket subscription in the same way they might do for cabel TV or satellite radio but for that thye need a broad range of titles to be the equivalent of channels on these properties. 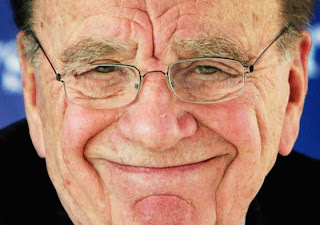 Murdoch is no fool and has made some shrewd moves in the media business. Launching his own media channel on the web that you can subscribe to but which contains news media from both his print AND broadcast properties. Now that I can see working if the price is right. Will PR Week be better online? Yesterday PR Week (US) did a short interview with me for their upcoming feature on digital. They'd already done a longer phone interview. This interview was done to camera (a digital video camera). I have to applaud them for immediately embracing the new format for the publication. That said, it got me thinking about whether the new format will make the publication better or worse. It certainly has the opportunity to make the publication better. A richer set of content and more community building tools could make the publication a lot better. But what will really make the publication better is the content. By that I mean the conversations they start and pursue; and the insight and perspective they share from their unique position. If they get this right the community will engage and the publication will grow in stature. I'm sure we all have views on what that content may be and I hope we all take time to share our ideas with PR Week. We will all benefit from a strong trade publication but if we leave it to Haymarket, the publication has a far tougher task than if we all make the effort to share our feedback and offer suggestions on ways to make the publication better. Julia Hood has a lot on her plate right now as she guides the publication through this transition AND searches for a new editor. The more constructive we can be in our help, the easier her task and the better the industry will be. The birth of the new TV model? Sean Garrett at 463 just blogged about justin.tv and its potential implications for live TV. I think he makes some good arguments and it's clear that in the same way as print media has been steamrollered by the online world, live, and in particular pay per view TV, could get a complete remake via sites like justin.tv. Of course there are always drivers of change and in the case of TV, sport has often proved the catalyst. Take the emergence of satellite TV in the UK. This struggled to take off until SKY took control of the rights for premier league football and then a range of other top flight sports. Soon any serious sports fan had to have SKY if they wanted to watch their favorite team. Fast forward to today and we have a world where that content is starting to leak out live on the web. It started to appear in grainy format on YouTube but wasn't live and was often quickly removed. Now it appears live through sites such as zomse.com that justin.tv will direct you to. Look out live TV, you are about to get a make0ver. If you embrace it you will survive and may even prosper. If you don't you will go the way of the Seattle Post Intelligencier. We often get involved in crises on behalf of our clients. These include events where products malfunction, or employees do something they shouldn't. Our task is to help manage the communications fallout and hopefully ensure the client's business doesn't suffer. The current swine flu crisis puts governments at the center of a horrible crisis. In most crises, there are certain parts of the population that are affected and a majority that aren't. That majority are the spectators and they react to the crisis as spectators. In the swine flu crisis there are no spectators. Everyone is a potential participant. This changes the dynamic considerably. It means we consume the information our governments and organizations like the WHO disseminate in a different way. We are not dispassionate or even rational. Instead we are concerned, cautious and emotional. We want to hear that we will all be fine but we also want to know what is going on in great detail. The latter, will of course create more fear than comfort. This leaves governments and health groups with a 'balance' challenge. How much do they say and how grim a picture do they create? This challenge is exacerbated in a pandemic situation where the media and Internet make it easy for us to see the difference between how say the Spanish are dealing with it versus the Americans. If one government paints a bleak view while another tries to keep people calm, the public is going to be confused and naturally skeptical of the communication they are getting. Getting governments to behave in a consistent manner is almost impossible as we have seen on issues such as global warming. This leaves the WHO as the one common mouthpiece in all countries. Again, however, the gap between what they say and a local government says will be consciously or subconsciously watched by people the world over. I don't envy the people handling this crisis it one that we are all watching and are all concerned about. I only hope the real crisis goes away and makes their jobs a lot easier. WPP and Omicom post poor PR results for Q1 - why? Put another way I wonder whether the Q2 sales of these groups will be more revealing in terms of real trends in PR versus advertising. I guess we'll see. The poll I ran on this blog, while hardly scientific and hardly shocking shows that most of you don't think PR Week makes the industry better (38% said it makes it better versus 61% who said it doesn't - I have no idea what the other 1% think). At a time when the industry needs help this is rather disturbing. PR Week does have some rivals in terms of trade press but it is the most visible and the best funded. The publication will be changing soon as a new editor comes in. One assumes that Julia Hood, who oversees the publication will use the change in editor to also change its direction. I for one would love to see the publication focus more on giving the industry an insight into trends in PR and what products and services clients are demanding and for it to worry less about telling us who won what account. While the latter is interesting it does little to advance the state of PR. Now some of this would require the publication to invest in proper research and give reporters time to write truly insightful features on say the impact of social media in a downturn for consumer companies. I appreciate that what I'd like to read about in PR Week may not suit all the readers but I think the publication should start by asking itself some pretty basic questions such as: what role should PR play in business in the next five years and how different is that from the role it plays today? From answers to this and other questions it could then look at what needs to be done to help the industry get there. This needn't result in the publication simply being a cheerleader. It can still be critical and indeed it should be critical where the industry doesn't evolve as it should. What is clear though is that the publication needs to develop a clear voice on certain key issues, issues that are central to the future of the industry. Being a spectator may be fun but it does little to really help. At the end of the day PR Week is a part of the industry and holds a position that should enable it to help lead the industry forward. I'd love to see it take up that position because if it does it will benefit the whole industry and may even make itself a bit more money along the way. Stage 1: Information. This phase of decision making is the foundation upon which everything gets built. If certain facts, data and events are used as a foundation it will greatly influence the decisions that are made. Public Affairs practitioners are well aware of this and will often war on the facts that should form the basis of a topic. Stage 2: Content. The content phase is where perspective, relevance and color are added to the information to make it clear why someone should be interested and to try and get people interested. This is the role of those in the media and of those in social media. Stage 3: Conversation. This is where content is discussed, tested, shared and debated. This is where traditional media has struggled and where social media has claimed significant victories. Of course who shares content, the questions they pose and the additional facts/data they introduce are all relevant to the role these conversations have in decision making. Interestingly I'm struck by the fact that even in social media where conversations are meant to be open to all, they tend not to be. Bloggers will respond only to certain people, there are certain people who Twitter (The Twitterati) whose notes matter more. Of course there will be subsets to the above and points in the chain where people will loop back to gain new information, add new perspectives and so forth. But if you think of this as a decision pyramid you can see that ultimately he stages of Information, Content and Conversation are what lead to decisions. Anyway, I'd welcome people's thoughts on this decision pyramid concept. It needs a lot of work to be completed but I think PR people need to start to articulate to their clients or CMOs the role social media plays in a far better way than is done today. Social Media is not a separate area of comms it is critical part of the decision making process. Goldman Sachs today announced strong first quarter earnings and its intention to raise $5Bn so that it can start to pay off its TARP funding. You have to wonder if the motivation to get out of TARP, is executive pay. Banking conditions haven't really improved much in the last month or two and almost all the banks have taken TARP money, so why the rush to pay back the government? It isn't as if banks with TARP money are considered inferior. The only conclusion I can draw is that Goldman Sachs execs hate to see the bank making such huge profits (they just made $1.8 Billion dollars in the last quarter) and not being able to pay out huge bonuses to themselves (I wonder how much profit they would have made if they'd been allowed to pay bonuses and salaries as they did before TARP?). Goldman will need approval from the regulators to pay back its TARP money. Hopefully the first real question they ask is: "Why do you want to pay it back so soon?" I also hope they listen really carefully to the answer. It would be a tragedy if Goldman Sachs paid back its TARP funding and then simply carried on as if nothing had happened. It would be an even bigger tragedy if that then resulted in them getting right back to where they were before the TARP funding. I noticed Andy Lark's latest tweet this morning, referencing his latest blog entry, which in turn referenced another blog entry. It occurred to me that the only thing missing here was a link to a Facebook page and then the social media triangle, as I'd like to call it, would be complete. It seems that one of the keys to doing good social media PR is to generate content on a blog or on a community site like Facebook and then link to it via another blog or community site and then top it off with a quick reference on Twitter for those of us who can't keep track of all the blog posts and Facebook entries people make these days. Robert Scoble made a name for himself as a pioneer in the blogosphere. At the time he was a Microsoft employee and he demonstrated how blogging could help large corporations have a more intimate dialog with parts of its customer base. Since he left to focus on being a blogger and general industry pundit he's been a man in demand, though he recently stepped down from his role at Fast Company 'to pursue a new venture.' Nobody can say that Scoble is a slouch when it comes to generating content. His blog seems to average three posts a day and his Twitter updates seem to occur every hour and often every few minutes, which brings me to my beef. Either Robert Scoble needs to eliminate 90% of his Twitter comments and turn them into blog entries, or he needs Twitter to create a longer format than 140 characters just for him so he can condense his updates and send them every few hours. As it stands when I open Twitter all I see are comments form him and the occasional comment from Brian Solis. Given Twitter also suffers from almost daily overloads I can't help but wonder how much of that is because of people like Robert Scoble. For those of us that like Twitter, please back off Robert - you're overloading the system. Context Analytics recently published a paper showing that for certain brands PR was way more effective than advertising. The brands most affected were those which had 'high involvement' products such as computers. High involvement products are ones where consumers typically do quite a bit of research before they make the purchase. I'd put cars firmly into that category and yet unless I'm blind I'd suggest that most car makers have done a pretty poor job on their PR. Instead they seem determined to convince people using TV adverts that they should rush out and buy their new vehicle. I'm of course basing this thesis on little real science. I did do a Google news search on major car brands and if you ignore all the bad articles about how deeply troubled the industry is, you see little that appears to be the result of a PR campaign. A great example to me of a missed opportunity is Toyota's launch of the new Prius. The car doesn't go on sale until 'late Spring' but it is already on the Toyota website. Given how popular this car is I'd have expected there to be a lot of PR outside the traditional trade press. As yet I've seen nothing and as Prius owner (or Pious as a friend of mine calls them) I tend to notice when images of the less than attractive vehicle appear in the paper. For the record then I'd strongly advise GM, Ford et al to forget their expensive ads and focus on getting the argument across using the media and social media. Assuming Context's study is accurate, they'll spend less and sell more. One of the Next Fifteen agencies just won a good piece of business. When the client called the losing finalists for the business, one of the firms was gracious and thanked the client for allowing them to take part and said they knew the agency they had chosen was a good firm but that they were obviously disappointed to lose etc. 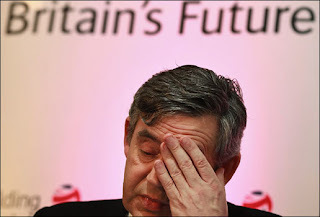 The other losing firm was much less gracious and told the client they'd made a bad choice etc. Guess how the client reacted? You got it. The client thought the first agency was professional and would certainly consider them for any future work. They thought the second agency was rude and arrogant and someone they'd never again consider. This isn't the first time I've heard such a tale. In every case the agency that takes defeat badly suffers even more in the long run. Meanwhile the ones who are gracious keep doors open for the future. Is the lesson really that hard to learn? 1. They can commit resources to pitches they actually stand a chance of winning, instead of having to pitch anything that has a check book. 2. They will suffer fewer losses. A large number of pitches are predetermined during these times and many of the agencies taking part stand no real chance. 3. Staff will appreciate being set up to succeed rather than fail. 5. By saying no they will sometimes make the client want them even more. Forbidden fruit and all that. So next time you are asked to pitch for a piece of business, ask whether this really is the right one. People can deal with failure in a growing economy without too much difficulty. Successive failure in a tough economy could demoralize some agencies. Pitch less, win more. Note the dateline on the story below. Click on the headline to see the full story as it appeared in ZD Net. When will IBM buy Sun? When I interviewed IBM's software chief Steve Mills in February, he said something that has stuck in my head, and I couldn't figure out why. Now I understand: Mills was throwing down a gauntlet that could ultimately wrest control of Java from Sun. 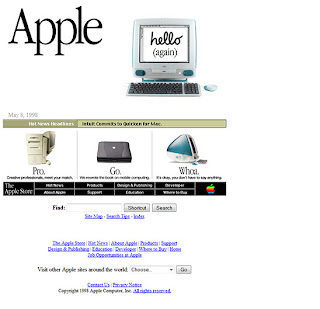 I was struck this morning how quickly brands come and go and how easily brands get forgotten. I noticed a new type of search engine, thanks to David McCulloch who had tweeted about Kosmix. This reminded me about all the hype and then not so positive press that was generated around the launch of Cuil. Cuil was going to be the next big thing in search. It clearly isn't/wasn't. I struggled to remember its name and ended up on wikipedia trying to find out what it was called (it's hard to search for something that you don't remember the name of). 1. It would be a foolish claim for such a young product that is still in beta. 2. It seems to rely on Google for most of its searches. Indeed Kosmix would seem to aggregate a series of Google searches and organize them by media type etc. So if they were to kill Google, they'd end up killing themselves. More seriously, I'm glad to see brands being launched with more realism at a time like this. The people that launched Cuil were ill advised and should have set more realistic goals. We all know that Google is less than perfect and that at some point someone will figure out a better way to deliver search but for now it is the leader by a mile. So if you intend to overtake it, you had better be pretty certain you have what it takes to do so before you start telling people that's your intention. 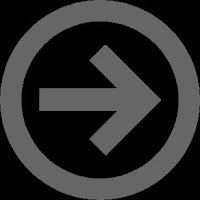 Despite being in PR for a long time and despite having a tech bent, I was unaware until today of wikileaks.org, a site that publishes anonymous submissions and leaks of sensitive governmental, corporate, or religious documents, while attempting to preserve the anonymity and untraceability of its contributors. The site is a great reference site for journalists, particularly those chasing political stories but I can also see how it will be used by PR people wanting to place controlled leaks. I can only imagine that companies will start to use this site to place leaks about their own business or products, but also leaks about the actions of competitors. Of course in true wikipedia style they don't make it easy for people to place leaks on the site that will stick but equally, a factually correct leak should stay posted. For years European journalists have felt that their American counterparts have given business and political leaders an easy ride. 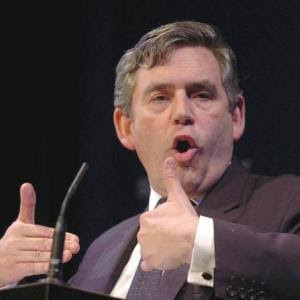 Since the meltdown in the financial markets, there has been a notable shift with today's NPR interview of the UK Prime Minister, Gordon Brown, by Steve Inskeep being a great example. Inskeep pushed Browne hard on a range of issues from the economy to Afghanistan. Interestingly Brown failed to answer almost all the questions. In short Browne came across badly. This is what the American public wants, right? Wrong it would seem. Yesterday on Marketplace (another program on NPR), show host Kai Ryssdal said they'd received many listener complaints that they were airing to much bad news. Put another way they'd been asking too many tough questions. I do understand the view that we don't want just bad news. But I'm pleased to see the American media finding its teeth. When the economy improves the American public will appreciate it. The old expression "nobody gets fired for buying IBM," is now at play in the marketing arena. In recent weeks several large companies have elected to put their business out to pitch. Their selection criteria would not appear to be based on which ideas will make the biggest difference to the business, or who has the best consultants available to work on their business. Instead their criteria would be appear to be blunt scale and apparent price. Of course this is something of an oxymoron as large agencies typically charge higher hourly rates and typically over charge. In terms of programs these firms tend to offer fairly bland campaigns that are big on planning and short on delivery. Interestingly it is at times like this that firms need the opposite. They need PR people that are creative and who love to get their hands dirty. In short they need results. So why do big companies take this path? At one level it does make sense. Procurement departments love this kind of deal. For a start they can be seen to centralize a contract and get their hands around the terms in a sensible way (at least it is to them). At the same time, agencies sell the idea of lower cost and better integration. In practice any cost saving tends to translate into worse results. At the same time, the hiring of a large agency tends to result in a more detached agency relationship. Smaller, more agile agencies are full of practitioners that love the craft of PR and will give their all to the task, not just the hours they are obliged to provide within the contract. Small and mid-sized agencies will likely suffer during the next twelve months as some large companies run for the apparent safety blanket offered by large agencies. In time they will learn what they learned in better economic times - that they need an agency, or agencies that can really engage with their different business units and can make a real difference to their success. Sadly it seems that for now though the smaller agencies will have to sit tight and focus on smaller clients that understand the difference between price and value. I'm headed to the TED conference today. This is one of those events that challenge you to think about the bigger picture and beyond the immediate horizons of financial quarters or even years. This year, more than ever, the conference will have its work cut out to achieve that. With so many businesses caught up in the immediate economic challenges, I suspect it will be tougher to get the CEOs attending to put aside the pressures of their day job and explore some of the mind bending content TED presenters usually put forward. Of course this may actually be just what some of these people need. It is all too easy for business leaders to get caught up in the immediate challenges they face and to forget about the long term destination. Some will argue that when a ship is sinking the captain should worry more about keeping it afloat than which port they were headed for. I'd agree but I'd also argue that most people's ships are not sinking; they are simply battling tough conditions. The captains who can remind their crew of the benefits of reaching the destination and who are able to step back and perhaps use the difficult conditions to actually help them reach the destination will be the real winners. I say all of this, not to encourage a round of navel-gazing by business leaders at a time when they do need a firm hand on the tiller but to make sure we also remember that in times of difficulty the importance of having the right destination shouldn't be ignored. Missions and visions are not the monopoly of good economies after all. Yesterday was quite a remarkable day. Millions of people around the world watched Obama become President. At the same time the media tapped into the interest by producing special editions of newspapers and day long TV and radio coverage of the event. This prompted me to ask several people if they remembered George W Bush's inauguration. The answer was of course - NO. By any standard the Obama inauguration was a world leading event. But then by any measure Obama is probably the best known person on the planet right now. I suspect he has overtaken all manner of celebrities and sports stars in terms of name recognition. How long will all this Obama-mania last? My guess is that we will be able to tell when his star power has lost its luster when we stop seeing Obama bumper stickers. Right now when you drive around it is as if the election is still pending for Obama, while all the McCain stickers are long gone (not that there were that many in California). So keep an eye on the Obameter as I'm calling it. When you don't see more than five stickers in a thirty minute drive the Obameter may well be showing that Obama is not quite so popular. For now though the Obameter is at an all time high. Is client conflict less of a problem in a recession? Apparently some clients are worrying less about client conflicts these days. I heard of two cases recently where clients are turning a blind eye to conflicts that a year ago they'd have made a huge deal about. One involves two major PC manufacturers that are both working with the same agency in China. The other involves major players in the anti-virus software market who are again using the same agency, this time in the US. I take my hat off to the agencies involved for persuading the clients that it is OK. I for one have long believed that with effective Chinese walls, clients should be able to work under the same roof albeit with totally different teams. Many large companies have taken a different view. I'm therefore encouraged to see this attitude changing. All recessions are not created equal that's for sure. While it is pretty clear that many businesses are feeling the effects of the global recession that is upon us, some are feeling it more than others. Sector to sector comparisons are obvious. I'd rather be in the technology business than the car business for example. However, even within sectors there are businesses that seem to be doing relatively well, while others in the same sector are crashing and burning. Some are losing because they are selling the wrong product and some are losing because they have the wrong customer base. Some are losing because they do all their business in one country, while others are winning for the same reason, they simply operate in a different country. The reasons why people are winning and losing can be due to good or bad management, or down to history. The physical markets people are in were decided a long time ago in many cases - long before the financial markets crashed and took the economy with them. All of this unevenness (is there really such a word?) makes for some interesting management challenges. For example the cost of leaving a market can be higher than the short term savings achieved by getting out. Equally, changing your customer base isn't easy when markets are like they are right now. Put another way it is hard for executives to marry the short term financial goals of a business, with the right long term business goals. As a result, I would expect some pretty lumpy performance from companies in the next year or two. This isn't what financial markets like but for many companies it will be unavoidable. The most important thing is that businesses run their businesses profitably and conserve their cash during a period like this. It is then also important that they learn from this recession. Recessions expose the weaknesses of a business. Ignoring those weaknesses is perhaps the worst mistake a management team can make. All business leaders hate recessions but they are a great test of you and your team and of the business you are running. How well you do is interesting. How much you learn from the test and apply to your business is really important. I was talking to a friend who works at Microsoft and he told me that starting January 1st, Microsoft has offered employees a choice within its benefits package that is both unusual and potentially interesting when it comes to the economy. This year they are letting staff either sign up for a health club membership as usual (this was part of the old package) or they can spend up to $800 on something like a bike or a kayak. Anything in fact that will be good for your health and Microsoft will pay them back. I believe Microsoft employs some 50,000 people in the US. If all of them were to spend their $800 on leisure equipment it would have quite an impact on the sales of Bike and athletic stores. It makes me wonder what would happen if all the major employers in the US were to re-look at benefits and do something similar. I'm referring here to Steve Jobs, who today disclosed he has a health issue that they believe they now have sorted out. This health issue has caused his obvious weight loss. The disclosure, a day before he was originally scheduled to do the MacWorld keynote seems an odd piece of communications. It seems odd that he waited until now to disclose the illness given all the speculation that has been going on and the assumptions that his cancer had returned. It seems odd that he didn't say he had just learned of the hormone imbalance that is hopefully the cause of his illness. It seems odd that he disclosed the details solely in writing rather than granting an interview (that said I'm glad Barbara Walters wasn't the one breaking the news). I truly hope Steve is now going to be 100% healthy and well. What he has done for Apple since his return is quite remarkable and will likely be the basis of many an MBA thesis for decades to come. But his communication on his health has been a comms person's nightmare. I fully appreciate that his health is a personal matter but Steve is Apple to many people (as the stock price has shown). I only hope the comms nightmare is now over and Apple can get back to doing what they do so very well - launching great new products. 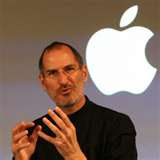 I for one will be watching MacWorld with interest, even if Steve is not delivering the keynote. As the economy continues to struggle, those in the service sector need to remember that the customer service they provide can remain at a high level (or perhaps even improve). Of course a changing economy may hamper people's ability to offer services they may have done in better times. Indeed financial pressures will almost certainly encourage businesses to enforce contract terms more rigorously. This may prove a costly mistake for some, especially if the 'letter of the law' approach is combined with poor customer service. Today I was involved in a car accident. Some guy decided to turn left without really checking to see if there was a car coming the other way and drove straight into me. To say that his insurance company were less than friendly when I called them would be an understatement. Now I know they are trying to limit their potential loss here but by being borderline rude they have ensured I will never use them for insurance. It costs nothing to be polite and to show that you understand the needs of the other person in a service situation, something this insurance agent has never been taught. So when clients come asking for the moon and want you to do the work for next to nothing please remember to listen and to empathize with their challenges. You shouldn't need to agree to requests that mean you would be giving your time for free at a time when you can least afford to do it. Equally you shouldn't leave them feeling like you were being rude to them. This isn't always easy, especially when clients are under pressure and are themselves being rude but it can be done and the PR people who can walk that line will do very well. Just as in the fashion industry everyone awaits the answer to the question: "what's the new black?" business leaders should be asking "what's the new behavior?" The new behavior I'm referring to here is recession behavior. Of course the obvious signs of the new behavior are people being more cautious with their spending. However, the behavior shifts are a lot more complex than that. The new behavior is built on people replacing one action with another. For example I heard from a friend who is a family doctor that many of the patients that would normally be in her office at this time of year complaining about a cough or cold are simply not coming in. This isn't because they don't have a cold but because they don't want to make their copay. So instead of going to see a doctor they are taking over the counter medicines and riding it out. Put another way they are still doing something. They're just taking a different (cheaper) path. Of course this may end up being an equally expensive route and could even wind up being more expensive. Replacement recessionary behavior as I'd call it, is something we can expect across all aspects of life and isn't simply limited to consumer behavior. This is something PR people need to consider when they plan activities for '09. For example is your client's product a product that could be a replacement for another more expensive (normal market conditions) option? Or is it a product likely to be replaced by another? In many cases the way the product is sold will need to change. For example if you are selling chocolate or a latte I'd suggest it is sold as a replacement to those who are cutting back on eating out. If you can do this it may actually open up a new market. As I mentioned this type of behavior won't be limited to consumer markets. For example in business, people are cutting back on off sites and business travel. How about spending some of that saving on Skype video conferencing technology (a few cheap web cams)? I for one would much rather do a video conference than spend hours on a United Airlines flight across country. In other words for every change in behavior there is an opportunity. The challenge is how to make your client's product or service the beneficiary of this change. In some cases it will require some creativity but I can assure you it will be worth the effort. Tim is CEO of Next Fifteen, a publicly traded group of PR businesses that has over 800 consultants worldwide. He joined the Company in 1984 and became its global CEO in 1992. As one of the early pioneers of tech PR, he has worked on major corporate and product campaigns with such companies as Microsoft, IBM, Sun and Intel. Tim came out from London to set up the Group's first US business in 1995 in Seattle and is now based in Palo Alto. Outside Next Fifteen, Tim is also on the advisory boards of several technology start ups.